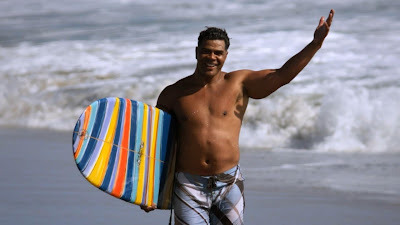 A documentary chronicling the life, career, and death of Hall of Fame NFL linebacker Junior Seau. We aren't what you would call "football fans," but as lifelong San Diegans, there is one name in the sport we know better than any other: Junior Seau. 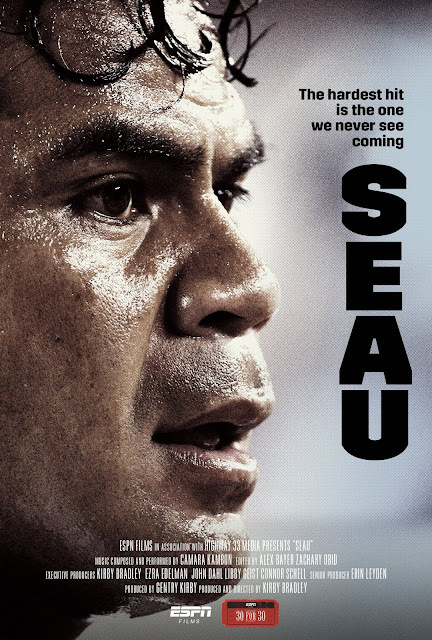 ESPN's "30 for 30: Seau" is a documentary directed by Kirby Bradley. This film tells the story of NFL hall of fame linebacker Junior Seau from his childhood years in Oceanside, CA through his college days at USC. It then discusses his entry into the NFL, his retirement, and his eventual suicide, as well what we have learned from his tragic passing and the aftermath of his death from a medical standpoint. This movie consists of interviews with Seau's family, lifelong friends, football teammates, and sports personalities that knew Junior privately, the ones who saw up close and personal the drastic attitude changes that led to his eventual downfall. ESPN has done a stupendous job creating a documentary that not only celebrates the life of a San Diego hometown hero, but one that looks into CTE (Chronic Traumatic Encephalopathy), how it can affect football players, and what happens when the symptoms go unchecked. As we said, we aren't football fans, but the brief period of time when we found ourselves watching the sport on a regular basis was when Seau was playing for the Chargers as he helped lead them to their one and only Superbowl game. 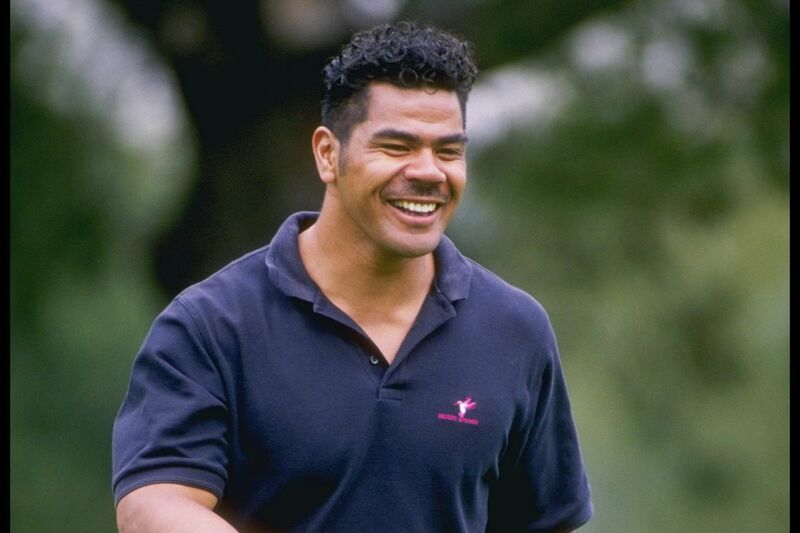 We see two sides of Junior Seau in this documentary. As we watch the early years of his life unfold, we see the kind-hearted, musclebound teddy bear who was good at sports (basketball in particular) and always called people he liked "buddy." If you were "buddy," you were "part of the family." 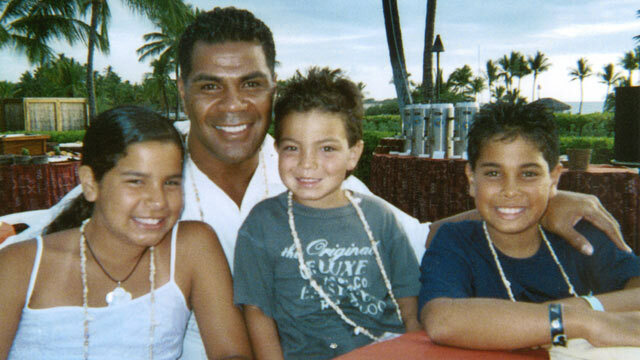 As Seau's fame grew, he met a woman, got married, and was a devoted father, husband, and family man. He was involved with everything he did and never half-assed anything. Seau started a charity, gave to the underprivileged, and was deeply invested in every step of whatever he put his name on. He opened a restaurant here in San Diego and learned the business from the ground up. He was a beacon of hope and an inspiration for his team and a whole city of football fans. As Junior Seau's life and career moved forward, later in his life, the result of years and years worth of physical strain and trauma from repeated blows to the body and head, as well as his unchecked, untreated concussions, began to take a toll. These injuries, coupled with alcohol abuse and depression, led to him becoming distant from his family, and he even suffered from dementia. ESPN and Junior's son also give the audience a look into Junior's personal journal entries that show even he knew about the demons he was battling, though he refused to reach out for help. He wrote that felt an unfillable emptiness he couldn't explain. Seau knew he was withdrawing from everyone he loved and tried to fill that vacancy with booze, gambling, and people who only wanted to around him because of what he gave them. He frequently paid people's bills and lent them money, bought them cars, allowed them to feel like powerful people in his presence, etc. "Seau" does a deep-dive into not only these drastic personality changes but also what many of those inflicted with CTE and other traumatic brain injuries go through after a career in a sport where getting your head knocked around is part of the job description. You can almost see the trepidation in the eyes of the other former and current players featured in this film who fear their future will hold a similar fate to that of Junior Seau's. 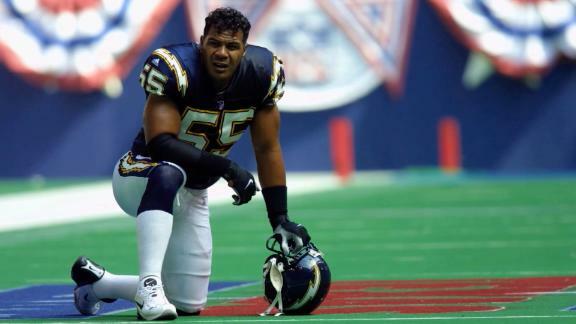 Despite not being fans of football, we were completely riveted and deeply moved by "Seau." We were driven to tears on several occasions hearing those who knew and loved him regale the audience with stories about his passion, his effort, his knowledge, and his sheer strength and determination as a football player. Hearing Seau's family, co-workers, and friends discuss the extreme changes he went through before his death is absolutely heartbreaking. The loss of Junior Seau was such a devastating blow to America's Finest City that BigJ and I can remember exactly what we were doing when we heard the sad news that fateful day in May 2012. ESPN Films has done a fantastic, balanced, thoroughly researched job telling the story of such a legendary football player, and we highly encourage every San Diegan to watch this documentary as soon as possible.